The year is 2027. Chris Avellone now writes (or at least writes for) every RPG series that has ever been, or will ever be. But before we reach critical Avellone, the acclaimed writer for Planescape: Torment, Star Wars: KOTOR II, Fallout: New Vegas, Pillars of Eternity, and many other great games first has to be added to all the Kickstarters as a stretch goal. After a guest appearance as a stretch goal for the Torment: Tides of Numenara Kickstarter, Avellone again appeared in goal for The Bard's Tale IV. Both campaigns hit those stretch goals, of course, because, hey, it's Chris Avellone. "Before we launched our Kickstarter campaign, we asked the community what sort of reward and ideas they had in mind for our campaign. You guys came up with some interesting stuff, and one of the highest-voted ideas was getting Chris Avellone on board as a writer." "Plenty of folks on the Larian team are fans of Chris’ work, but we hadn’t yet considered bringing him on for D:OS2. Intrigued, Swen sent him an innocent Tweet, and the two met up at PAX." 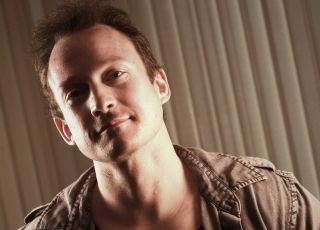 Chris Avellone—Obisidian's co-founder and former creative director—left the company back in June, although it doesn't sound like he's been short of work since.